For this project, I turned a stale press release idea into an engaging content strategy with an infographic at its core (see the infographic below). It began with a request to write a press release about how Spark Energy had saved Chicago-area customers a cumulative total of $2 million dollars since entering the market. But how does the average person relate to $2 million? 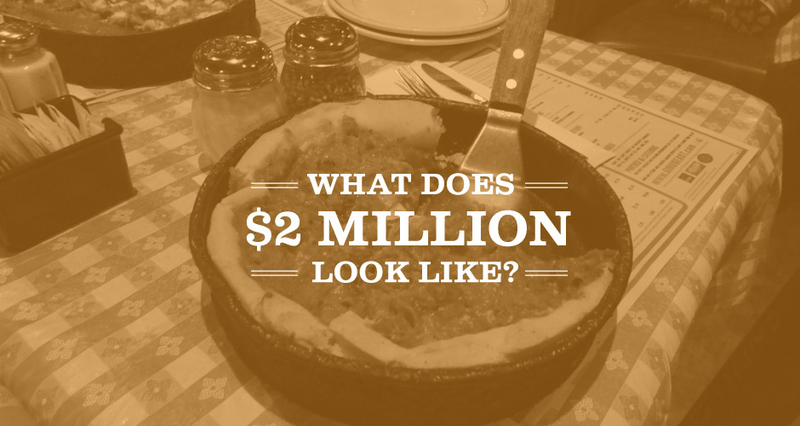 What does $2 million look like? So I came up with several analogies to help people understand what $2 million really looks like. Since the release was specific to the Chicago region, I ensured my analogies were specific to the market as well. I realized the analogies lent themselves to visualization, and worked with our in-house designer to turn the analogies into an infographic to boost sharability. The infographic and message were also distributed through social and e-blasts, further enhancing the value and reach of the content. The result was one of our most well-received press-releases, with higher than average social sharing numbers and double the dwell time of any other press release on the site.